Macular degeneration (dry macular degeneration) is a chronic condition affecting the eye, to be more precise the retina of the eye. It is characterized by progressive deterioration of the macula, the central part of the retina, which eventually leads to vision loss in the center of the field of vision. Apart from dry macular degeneration, a type of the disease that typically affects older individuals, there is wet macular degeneration, a type associated with swelling caused by leaky blood vessels located at the back of the retina. The condition affects one or both eyes and develops gradually. Symptoms occur only after some time. They are usually in a form of vision changes such as inability to read or work unless the light is increasingly bright, difficulty adapting to low light levels, blurriness of printed words and difficulty recognizing faces. Furthermore, there is a decrease in the intensity of brightness of colors, a gradual increase in haziness of the vision and hallucinations of geometric shapes of people. 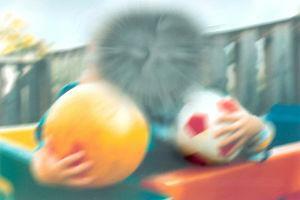 It is still unclear why dry macular degeneration occurs. It is believed that the condition is associated with the process of aging because it is frequently reported in elderly individuals. Some people are at higher risk for dry macular degeneration. These include individuals with a family history of the disease, Caucasian people, women, smokers, obese people and those suffering from hypertension and high level of cholesterol. Progression of the disease cannot be stopped. Still, there are ways to help patients live relatively normal and productive lives. For instance, such patients are due to increase vitamin intake. Certain vitamins as well as minerals and antioxidants may reduce progression of macular degeneration. Consult your doctor who will tell you how much vitamin C, vitamin E, beta carotene, zinc and copper you need to take per day. Smokers are due to quit this filthy habit instantly. If they continue smoking, they need to inform their health care provider who will recommend alternative vitamin formulations and may not opt for beta carotene supplements which are known to increase the risk of lung cancer. Many vitamins can be obtained from fresh fruits and vegetables. Therefore, plenty of fruits and vegetables must be incorporated in patient's diet. Patients with severe progressive degeneration may benefit from a specific surgery during which the doctor implants a telescopic lens in the patient's eye and this way improves distance and close-up vision. Could it be Macular Degeneration? cataract surgery and macular degeneration? Is Age-Related Macular Degeneration linked to aspirin use?